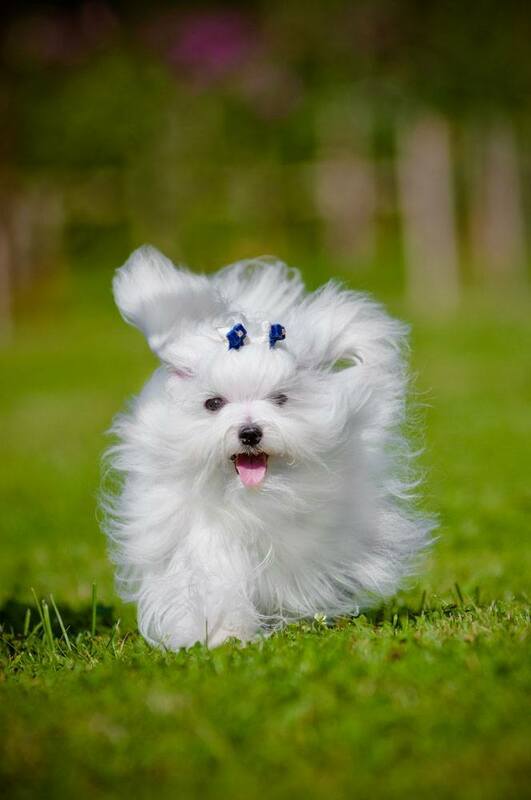 There are so many great Maltese dog names available that you will have a wonderful and fun time choosing one for your pooch. 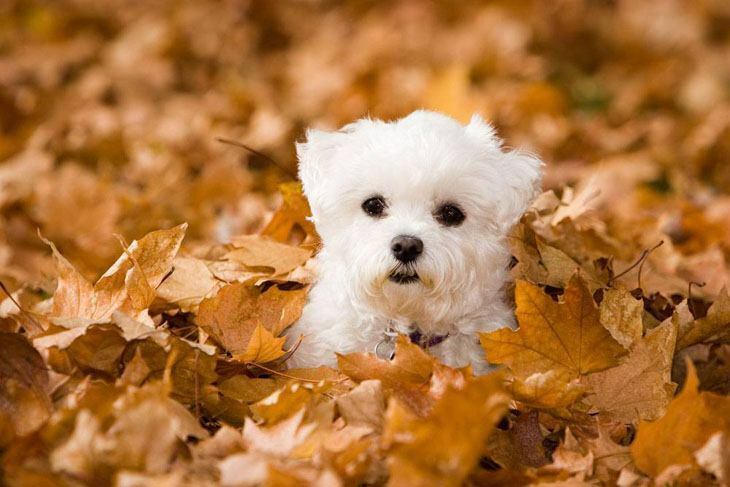 Maltese dogs are high-spirited and gentle, and their names should be based on their dynamic personalities. Very intelligent and good at learning tricks, Maltese are a gentle breed that continues to win the hearts of so many even today. Although they are small, the breed is very bold and quick to sound the alarm in case of suspicious noises or intruders. This breed loves to play outdoors, and are classical companion dogs. Over all, this breed is among the gentlest mannered of all small dogs, yet possess a playfulness that can't be beat. Angel: This soft and cuddly girl identifier will work perfectly for the dog that loves the comforts of her home. Always watching keenly, this Maltese will be loved and adored by everyone that meets her. Bunny: This male Maltese will lure you with his tricks and stunts. Sweet, playful and easygoing, Bunny is a good pooch to have and a really great friend. 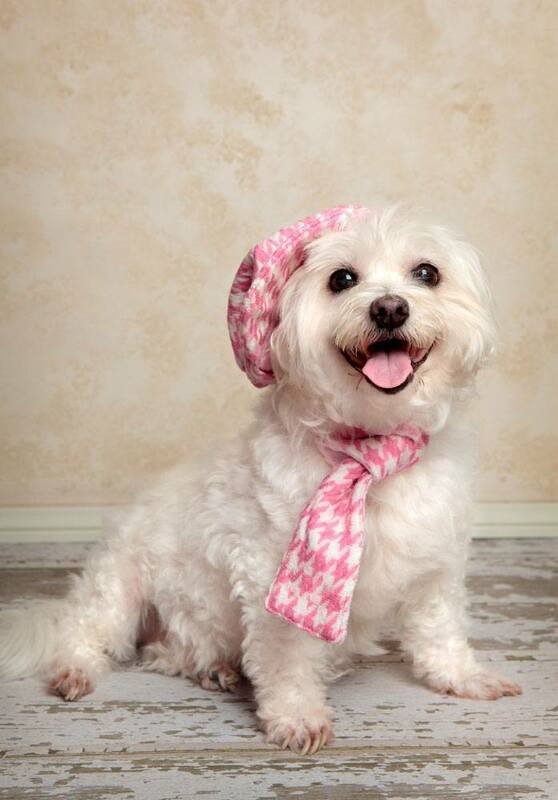 Butters: This male Maltese dog has a bold personality that can blend with any lifestyle. This little cute boy thinks he really is one of the big dogs. There’s nothing margarine-ish about him, as he’s the real deal. Cricket: This spunky little boy is always looking for trouble. On the other hand, Cricket is dedicated to your every word and darn playful too. Destiny: This lucky female and you were destined to be together from day one. This Maltese is a charmer everywhere she goes. Always well-mannered, she will never let you down. Fritz: Always in the middle of conversations, Fritz will sometimes disappear to find some hidden treasure. A cool Maltese dog name for the boy that loves to play outdoors. Harvey: This male name is for the smart and confident pooch. Always standing guard this dog will let you know when all expected guests have arrived. KiKi: This lovable female is always up and about, enjoying the limelight. Exceedingly playful and enjoys clever games, this girl is always having some form of fun with you, other pets, or whatever/whoever is available. Piper: Curious and quick-moving this Maltese is the first one to get to the door. This pooch will scrutinize any stranger before they enter, and once she is comfortable, this female will show you just how friendly she is. Snowball: Choose this Maltese dog name for the little cute pup that will remind you of a small snowball. This pooch is fun to have and will always make sure you are entertained. Splenda: As this name suggests this is perfect for a Maltese dog that will enjoy the company of others. Splenda can be a bit feisty but over all she is 99 percent sweet. Taffy: Once you see this little guardian angel, she will let you know all that has happened. This Maltese is graceful and lovable and when it is time for a treat she will stare at you to make you feel sorry for her as she knows how to pull strings to get what she wants. Tippy: Always getting into trouble this boy dog is sometimes jealous of visitors. Always in the mood to play, Tippy will take over the house during his play sessions. Whopper: This small Maltese has a big heart, and he loves to play and guards his territory. A bit nosy at times, but is very alert, and he isn't afraid to investigate any unusual sounds that he hears. A good name for your watch dog.